"Guns Save Lives, Educate Your Kids"
Single-subject issue -- The censorship issue has soaked up my time, brief summary of events and where we're headed from here; also, the news release going out to the media tomorrow concerning the loophole discovered in self-defense law. thanks for your patience if you've been waiting for an advance order. included at the end of this brief report. It's official. Gun safety has been censored. After rounds of meetings and phone calls, the city of Phoenix, perhaps prophetically on Election Day, Tue., Nov. 2, passed final judgment and decided that censorship of our bus-stop advertisements would remain final. “Educate Your Kids” with the big red “Guns Save Lives” heart, which they tore down more than a week ago, were deemed unacceptable and would stay down. They blamed CBS Outdoor with the “error” for having put them up. The third option is only on the table because the Goldwater Institute believes this is a well-positioned case to finally challenge the Phoenix speech-restriction codes. The city's ongoing policies of speech suppression, bureaucratic control of speech, inconsistent and arbitrary enforcement, and lack of clear guidelines have attracted the attention of two other leading public-policy law firms, The Institute for Justice, and Judicial Watch. A number of private-practice attorneys have also expressed desire to join the fray. Support for action from the public has been uniformly positive -- thank you all for that. The city claims this amounts to a public-service announcement (PSA), and PSAs are forbidden by those who would dictate speech rules in city government, another point Goldwater seeks to challenge. Where does the city find its authority to ban PSAs? I asked. They couldn't say exactly. But they did note that if they allowed such speech, other people could post announcements too, and some bus riders “might be offended” by this. Incensed by this treatment, the Arizona State Rifle and Pistol Association president, Noble Hathaway, convinced Phoenix city councilman Sal DiCiccio to arrange a meeting with the Phoenix city manager, the head of the dept. of transportation Debbie Cotton, a handful of other city officials, and our sponsors, four of whom were available on the day (Dave Kopp of AZCDL, Kim Grady of Second Amendment Sisters, Noble and Gary Christensen of ASRPA, and myself, plus an attorney from the Goldwater Institute). We met in the palatial new city hall on the 11th floor. I had no idea we built such a monument to city government with our taxes. I've worked for many large companies, Fortune 500s and all. Very few people work in such glorious and opulent surroundings. That was an eye opener in itself. But I digress. I thought for sure that city manager David Cavazos got the message when I asked if our ad would be more commercial if it said, “Educate Your Kids, Dial 1-800-SOANDSO,” and he nodded. So what's the difference if in the year 2010 we use a website instead of an old-fashioned landline? My read of his face and the tenor of the room was that they got it. Turns out I was wrong. With all the legal eagles contacting us about the city's humiliating rejection of our words, our signed contract and the arbitrary actions taken without notice or legal process, it sure looks like we have a good case. I half expected the city to come crawling back with an apology and a reversal. Instead they postponed, repeatedly promised an answer, missed one self-imposed deadline after another, left me high and dry expecting phone calls, and finally said you're out of luck, your words are banned, have a nice day. But don't worry, it has nothing to do with guns or the right to keep and bear arms. Right. Can the city tell you what you can say at a public transit bus stop, by claiming it's a "non-public forum" (that's their precise claim)? Does that even make sense? Can they say our commercial message, approved by their commercial licensee CBS Outdoor, paid for by a commercial outfit like TrainMeAZ, LLC, with commercial sponsors, seeking to educate kids and parents by paid professionals, is not commercial, and get away with it? This will take about a week or two. Sit tight, you won't be disappointed. The American public believes it has the right to remain silent, and the right to an attorney, when facing possible criminal charges. Those supposed rights are erased however if a person calls 911 immediately after shooting a criminal attacker in self defense. Police record the calls -- you voluntarily give up your right to silence and a lawyer -- and it can all be used as evidence against you. Little attention has been paid to this loophole in the protection of innocent crime victims, but that may change with the release of a new book, "After You Shoot," from Bloomfield Press. 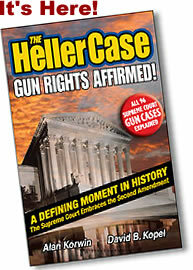 The Arizona-based firm is the nation's largest publisher and distributor of books on gun law. 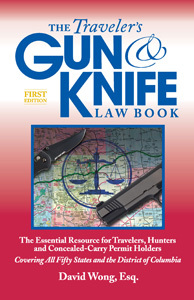 "After You Shoot" is author Alan Korwin's ninth book concerning gun laws in America. An innocent crime survivor faces a frequently hostile investigation. According to leading criminal-defense attorneys interviewed for the book, half the convictions in self-defense cases rely on frantic, traumatized 911 phone calls blurted out into a police voice recorder. "People have been conditioned to 'Call 911' right away after a self-defense shooting, but you're in the worst possible condition to make cogent statements having survived a lethal assault," Korwin says. This is based on research in the book which involved more than 70 experts in the field. "Your blood pressure and adrenaline are off the charts, your word choices will be terrible, and each time you say something it will come out differently, destroying your credibility." One alternative Korwin calls the Civilian Response Model, and is based on what police do, a time-tested and universally accepted approach. Go on 'administrative leave with pay' and have other people make the calls and statements, to insulate you from contact, just like law enforcement officers. Lawyers in general detest the idea. "If you call your lawyer first and have your lawyer call 911, to preserve your right to silence and legal counsel, most attorneys tell me prosecutors will use this to imply guilt, and convict you," Korwin notes. "So if you call without a lawyer you're at risk, and if you call with a lawyer guilt is implied. 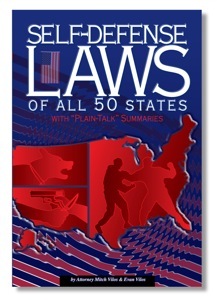 The right to remain silent and have a lawyer present, right after an incident, is an illusion." The classic approach many lawyers recommend is "don't say anything." That is absurd on its face according to Korwin, because you can't call 911 and just stand there mute. At the very least you need to have something done about the body, whether the attacker is still breathing or not. Lawyers also often suggest, "Just say X and Y," concocting a variety of statements of dubious value, in the belief this will get you off later. The notion that someone can recall the "approved" statements under that kind of stress is a pipe dream, Korwin says. Dozens of approaches to this problem are analyzed in the plain-English book. "After You Shoot" offers five possible solutions to this ongoing threat to innocent crime victims. This includes a proposed limited-immunity statute, which would prevent frantic 911 statements from being used against a person in court. The draft statute would also prevent the news media from publicizing any recorded evidence and poisoning a potential jury pool, before the tapes are released at trial. [Backgrounder: Scottsdale, Ariz.-based Bloomfield Press, founded in 1988, is the largest publisher and distributor of gun-law books in the country. 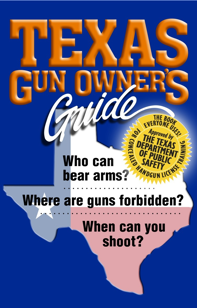 Our website, gunlaws.com, features a free national directory to gun laws and relevant contacts in all states and federally, along with our unique line of related books and DVDs. "After You Shoot" for media review is available on request, call 1-800-707-4020. Our authors are available for interview, call to schedule. Call for cogent positions on gun issues, informed analysis on proposed laws, talk radio that lights up the switchboard, fact sheets and position papers. As we always say, "It doesn't make sense to own a gun and not know the rules." 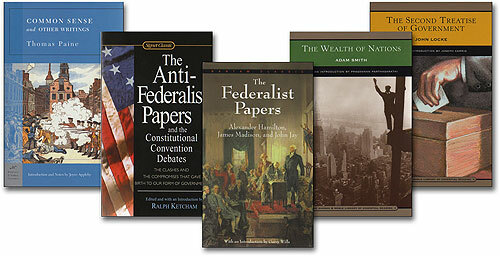 Alan Korwin is a 20-year member of the Society of Professional Journalists and author of 13 books, so far. His next book, about free speech and all the things you can no longer say, is entitled "Bomb Jokes at Airports" and is expected out soon. No more waiting -- the book is in, we're shipping orders. A main operating principle behind TrainMeAz is to get the entire public on the bandwagon and out to the range. What a marvelous state that would make Arizona, the envy of the nation and the free world. "Make it so." When I give a speech (and I give a lot -- your group can be next, call me, 1-800-707-4020) I encourage the audience to organize a Range Day. The average person on the conservative side of the fence voices support for the Second Amendment but -- have they demonstrated that support? When was the last time they went to the range and exercised liberty's teeth?